At a college that caters to working adults, the 38-year-old blended in with her classmates. But the neatly organized records in Trenda L. Halton’s suburban Phoenix home held clues to a double life that has embroiled one of America’s largest online-education programs in a half-million-dollar con. Social Security numbers. Tax returns. High-school diplomas. Ms. Halton used those records in a scheme that defrauded the federal government of about $539,000 in student-aid dollars—a scheme that involved dozens of people recruited to pose as phony “straw” students at Rio Salado College, according to court records. Ms. Halton pleaded guilty in federal court last week to conspiracy, mail fraud, and financial-aid fraud. Her lawyer has not responded to repeated requests for comment. But the high-tech methods she used have already set off alarms at the U.S. Education Department. The grifter made her bogus recruits look like real students by assuming their identities online to “participate” in classes and collect a share of their aid money, authorities say. The case highlights how the same technology that is expanding access to education for millions of online students may also expose the country’s $117-billion federal financial-aid system to supersize fraud. Confirming whether someone in an online class is a legitimate student represents a “significant challenge,” says Mary Mitchelson, acting inspector general at the de partment. Ms. Mitchelson told Congress in October that her office had opened 29 investigations related to distance education since 2005, 19 of them in the past two years. And the number of distance-education investigations has increased since her testimony. The targets of such digital criminals tend be community colleges, where requirements to establish financial-aid eligibility may be minimal, tuition is cheap, and distance education is booming. The cases don’t always get much public attention. But the University of Phoenix’s Axia College, Michigan’s Lansing Community College, and Texas’ Dallas County Community College were all victims of online financial-aid fraud, according to the inspector general’s report to Congress covering April to September of 2009. Does what happened to Rio Salado and others reflect a vulnerable system in need of reform? Or, as Rio Salado officials argue, do the legal charges illustrate that existing safeguards work well? Fake online students getting financial aid are part of a bigger story of inadequate government oversight, says Barmak Nassirian, associate executive director of the American Association of Collegiate Registrars and Admissions Officers. Congress has opened the federal purse to the rapidly expanding field of cybereducation, he notes, with decisions like its 2006 rollback of a rule that had prevented institutions that enroll more than half their students through distance education from participating in federal financial-aid programs. But the government has failed to match that accommodation with “appropriate safeguards that protect against likely abuses that may be uniquely possible only in a distance-education environment,” Mr. Nassirian says. This singling out of online education infuriates Fred B. Lokken, chair of the Instructional Technology Council, an affiliate of the American Association of Community Colleges. Mr. Lokken argues that the fraud at Rio Salado College “could be replicated in a traditional classroom on almost any campus in America.” That’s because online registrations and applications are common at such places, he says. And do instructors really get to know hundreds of students in an intro-level lecture class? “The sky is not falling,” he says. Indeed, many distance-education programs have built-in protection: their high cost. Mark Kantrowitz, publisher of FinAid, an independent Web site about financial aid, says criminals hit low-cost colleges so they can maximize the amount of cash they pull out after financial aid is applied to tuition and fees. Online programs, he says, often aren’t cheap enough to make them attractive to crooks. The exact nature of online-education fraud is best shown by a close look at Ms. Halton’s alleged scheme. It came to light in 2007, when a sharp-eyed part-time employee in Rio Salado’s financial-aid office spotted similar handwriting on several student-aid applications. 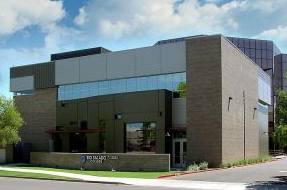 A two-year investigation by federal authorities and college officials culminated in June 2009, when, without explaining the exact reason, the U.S. attorney for Arizona summoned Rio Salado’s president, Linda M. Thor, to the attorney’s downtown Phoenix office. There, as updates trickled in on arrests in the case, Ms. Thor was given the details of a 130-count indictment against Ms. Halton—and one hour to draft a statement for a news conference. The indictment accused Ms. Halton, a Rio Salado student who was eventually suspended for failing to make academic progress, of working with four accomplices to find some 136 potential straw students. Ms. Halton would prepare and submit applications for admission and financial aid to Rio Salado on behalf of those people, court records say. The goal was to get Stafford Loan and Pell Grant money that is disbursed to financial-aid recipients after the college deducts tuition—leftover money that Linda L. Ross, Rio Salado’s former financial-aid director, says can amount to several thousand dollars per student. Authorities characterized Ms. Halton as a ringleader who managed what amounted to a small business around the illicit skimming of aid dollars. She pulled it off through an elaborate system of records that held personal information on the straw students, court records say. But here’s where the question of technology comes in. Rio Salado generally won’t mail out checks for the extra financial-aid dollars until a student attends a minimum number of classes, either online or in person, the indictment says. The delay is a safeguard, but it has an expiration date. The college checks to see if first-time financial-aid recipients participated during the first week. Ms. Halton apparently gamed that system by using straw students’ user names and passwords to log in to their online classes and read about what participation was required. And then she satisfied the requirement, says Kishia R. Brock, the college’s dean of enrollment management and student services. In this case, that small percentage managed to accumulate $538,932. The straw students kicked back a portion of the proceeds to Ms. Halton—between $500 and $1,500 apiece from multiple loans and grants, prosecutors say. She also paid a lesser “finder’s fee” to her recruiters, according to court records. Ultimately, 65 people were indicted, most in Arizona but others in Wyoming and California. In her plea agreement Tuesday, Ms. Halton agreed to repay $581,060. She was released pending sentencing on March 29. As of Wednesday, 23 other defendants had been sentenced and ordered to repay a total of $212,013. Rio Salado officials argue that their success in busting the fraud ring resulted from the safeguards of the college’s system, not a stroke of luck. They say they caught wind of the scheme early. They called in the authorities. They disbursed money during the investigation as a necessary step in building the case. The inspector general’s office has been sounding alarms over the issue for years. One of its earlier investigations involved Truckee Meadows Community College, where the Instructional Technology Council’s Mr. Lokken serves as an associate dean. The Nevada college found itself ensnared in a $1-million financial-aid scam that featured a 61-year-old grandmother who worked with four of her children and three of her grandchildren to steal student aid through distance-learning institutions in Arizona, Colorado, Maryland, Nevada, and Texas. So what is the government doing to protect financial-aid programs from such abuse? Robert M. Shireman, deputy under secretary of education, describes in limited detail a recent Education Department project, run in conjunction with the inspector general, that mines data such as financial-aid accounting records for risk signs that could trigger follow-up investigations. For example, an unusual number of invalid Social Security numbers at a particular college might suggest a scam. In 2008, when the inspector general’s office revealed plans to create a new central database of computer records to improve the detection of waste and abuse in government programs, higher-education lobbying groups objected on the grounds that it would invade privacy and probably not produce much useful data. Mr. Shireman also cites a new element in the Higher Education Act that requires accreditors to monitor the steps that colleges take to verify that an enrolled student is the same person who does the work. It was a controversial provision that stoked fear that online education providers would be forced to buy expensive student-surveillance technology. For now, however, colleges will be able to satisfy the new mandate with techniques like secure log-ins and passwords. Although passwords failed to prevent the Rio Salado fraud, Mr. Lokken thinks the requirement is adequate at this point, given what could be the crippling cost of more-elaborate technologies.